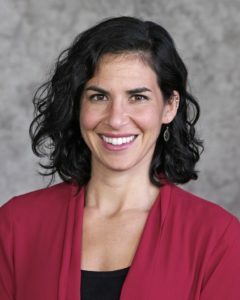 Rachel Winograd, PhD, is an Associate Research Professor at the Missouri Institute of Mental Health (MIMH) – University of Missouri St. Louis (UMSL). She received her doctorate in clinical psychology from the University of Missouri, Columbia, and completed her doctoral internship with the VA St. Louis Healthcare System. Her clinical, research, and program development interests revolve around alcohol and drug use, consequences, and treatment. Dr. Winograd is the Project Director of Missouri’s State Targeted Response and State Opioid Response grants, as well as the Missouri Heroin-Opioid Prevention and Education (MO-HOPE) Project. Her primary focus is on expanding access to medical treatment and harm reduction strategies for those most in need of evidence-based care for opioid use disorders in Missouri.